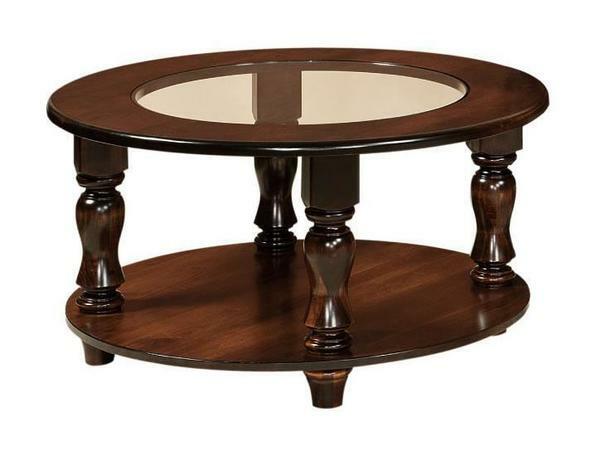 This beautifully handcrafted Amish Empire Round Coffee Table features a stunning optional glass, gorgeously detailed leg design or solid wood table top and your choice of hardwood and finish. This piece is expertly crafted by the masterful hands of true Amish woodworkers in the United States of America. Be sure to also check out the matching Amish Empire Oval Sofa Table!